True to its name, the Department of Brand Management strives to maintain the brand integrity of Oklahoma State. An integrated and agile team is here to work with you on achieving your area’s goals while staying in stride with OSU’s reputation as a premier land-grant university. 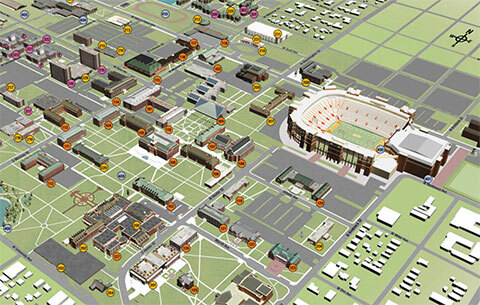 Below you’ll find links to services and resources available to you as an OSU communicator. Oklahoma State University benefits from public recognition of its name, symbols, logos, and other identifying marks. The licensing office can help you navigate appropriate usage of said marks. Request any of the various Oklahoma State University logos in the formats you need for your project. OSU oversees a program for crafters that supports creativity while maintaining the integrity of OSU’s brand and preventing the sale of infringing craft products. If you suspect that a product is unlicensed, please fill out the following form and your information will be forwarded to the Collegiate Licensing Company. The OSU Styleguide will walk you through the colors, fonts, logos, etc. you need to create branded content. OSU Athletics upholds style standards to clearly identify the department. Anyone who formally communicates on behalf of any OSU organization, department or college is responsible for understanding and following these guidelines as they relate to their personal and professional usage of digital media accounts.